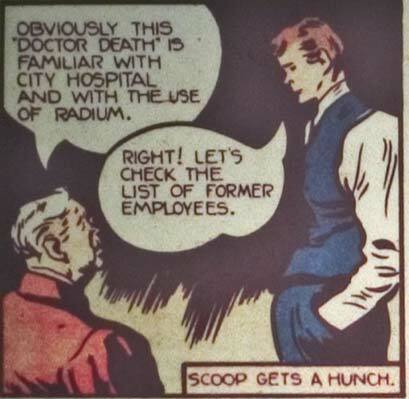 And, it’s not like the use of “Doctor Death” in quotation marks didn’t already suggest the use of a psuedonym! You can do better than this, Jeff! They can’t all be winners, Willy. It was a simpler time, Bael, when detectives actually detected instead of only hitting things with their fists. Wimps. Well, in their defense, Superbrat Prime hadn’t yet Scientifically Proven that hitting things hard enough could change reality. They just didn’t know any better.